iTunes 11: Where is the Button for Internet Radio Stations? If you've upgraded to iTunes 11.x, you might be wondering where the radio button has gone? Has the option to listen to radio stations that stream over the internet been removed, or is the button hiding somewhere else? To find out, read this frequently asked questions article on iTunes 11 for the answer. Is it Still Possible to Listen to Independent Radio Stations Using iTunes 11? 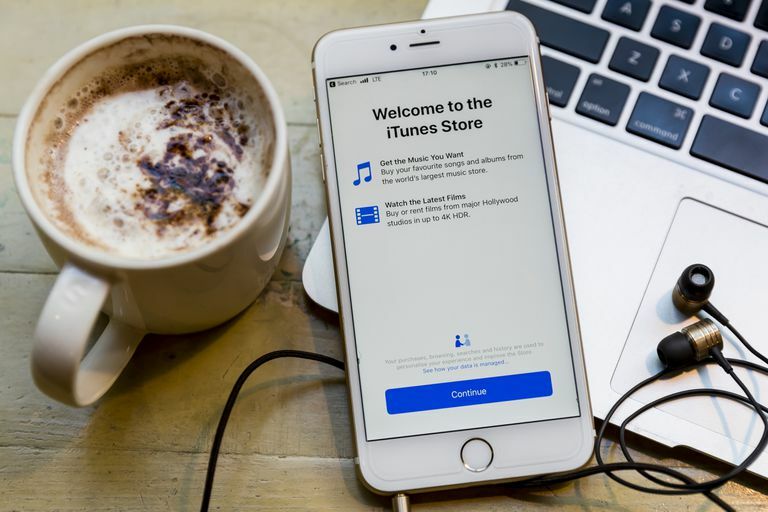 If you're one of the many users who has upgraded to iTunes 11 (and higher), you'll have seen quite a change in both the features that Apple's popular jukebox software application sports and its front-end design. In fact, if this is your first time using the new interface you might think that certain features are completely missing. For example, the sidebar and column browser options are disabled by default. It's the same for web radio, too. In previous versions of iTunes, there was only one way to listen to streaming music - namely, using a directory of independent radio stations. Now that Apple has introduced its own personalized music service, iTunes Radio, (since version 11.1) you might be wondering if it's still possible to tune into radio stations that stream over the internet? The feature is still there, but just like the disabled interface options mentioned above, it often needs re-enabling (perhaps this is because Apple wants you to use iTunes Radio instead?) If you prefer to listen to traditional radio via this older method, or just want it back as well as having the newer iTunes Radio service, then follow these steps to see how. Ensure you are in the Music view mode. If not, switch to this view by clicking the button near the top left-hand corner of the screen (with the up/down arrows) and selecting the Music option. If you have the sidebar enabled, then just click the Music option in the left pane (under Library). Look at the tabs near the top of the screen for an option called Internet. If you don't see this option then you'll need to go to the next section to re-enable it. On the main iTunes screen, click on the Edit menu tab and then choose the Preferences option. Alternatively using the keyboard, hold down the following keys (ignoring the square brackets): [CTRL] [,] [+]. If you don't see the menu bar at all then you can enable it by holding down the [CTRL] key and pressing B.
Click on the General preferences tab if not already displayed. Look for the Internet Radio option in the Sources section. If this isn't enabled, click the checkbox next to it. From the main iTunes screen, click on the iTunes menu tab and then choose the Preferences option. Alternatively using the keyboard, hold down the following keys (ignoring the square brackets): [Command] [+] [,]. Click on the General preferences tab if not selected. If the checkbox next to Internet Radio isn't enabled, then click it to turn this feature on. Now, look at the options again near the top of the screen. There should now be a new one called Internet (between Radio and Match). To view the radio directory, simply click on this option. How Do I Add Streaming Radio Stations to iTunes?